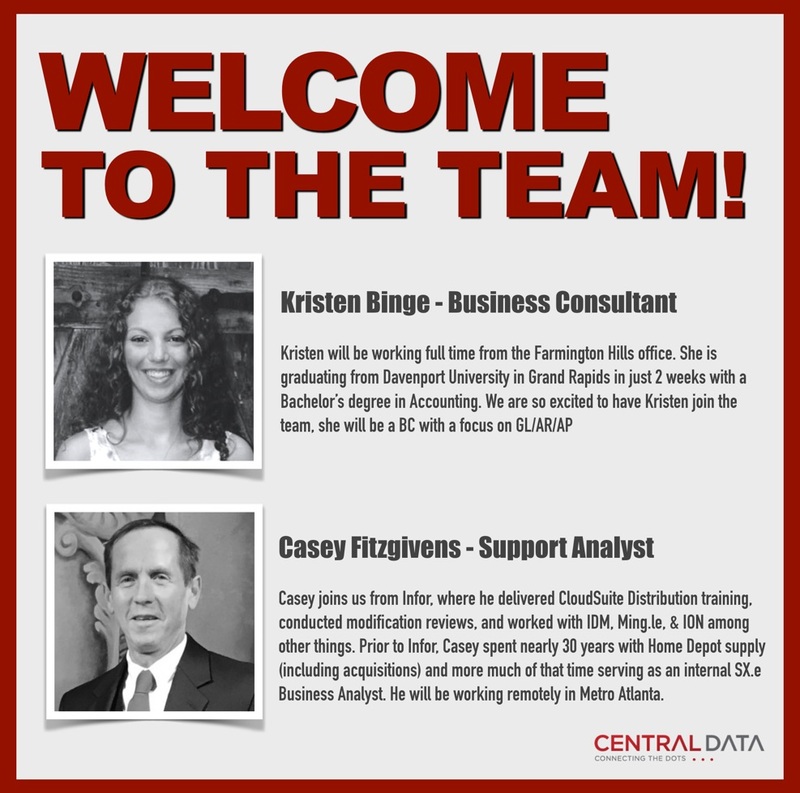 New faces on the Central Data team. Kristen is graduating from Davenport University in Grand Rapids with a Bachelor’s degree in Accounting. As business consultant, she will focus on GL/AR/AP and we are so excited to have Kristen join the team. A special shout out to Jan Zambelli for bringing Kristen’s resume forward! Casey most recently spent eighteen months at Infor in their ICS group which for those that don’t know is the team that implements net new deals and also does upgrades and migrations to WebUI/CSD. While at Infor, he delivered CloudSuite Distribution training, conducted modification reviews, and worked with IDM, Ming.le, & ION among other things. Prior to Infor, Casey spent nearly 30 years with Home Depot supply (including acquisitions) and more much of that time serving as an internal SX.e Business Analyst. He will be working as a remote employee from his home office in Metro Atlanta. Infor Distribution SX.e version 10.3 Released!